Sandwell Children’s Safeguarding Partnership (SCSP) have a responsibility to ensure, as far as possible, the safety of children and young people within the context of the services they provide. Significant Safeguarding Incidents, when they do occur, can cause pain and suffering to those directly involved, have the potential to generate media interest and undermine public confidence in the system. It is therefore essential that SCSP has in place an established system for dealing with Significant Safeguarding Incidents. 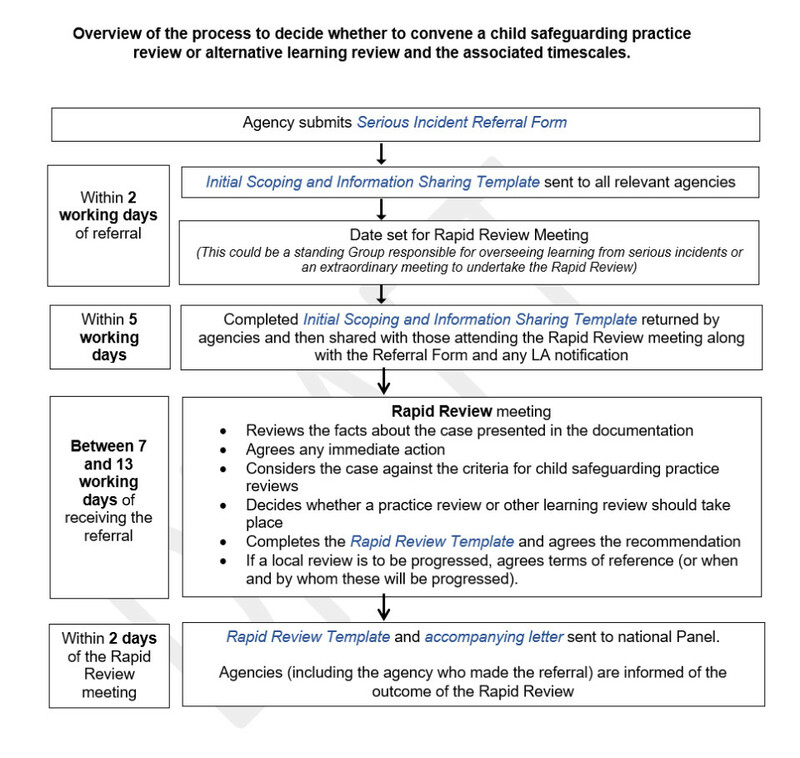 The aim of this guidance is to support the learning and improvement framework by clarifying the way in which partner organisations can bring Significant Safeguarding Incidents to the attention of SCSP, and outlines the investigative process including any potential review. Download the full process document here. Download a copy of the incident reporting form click here.